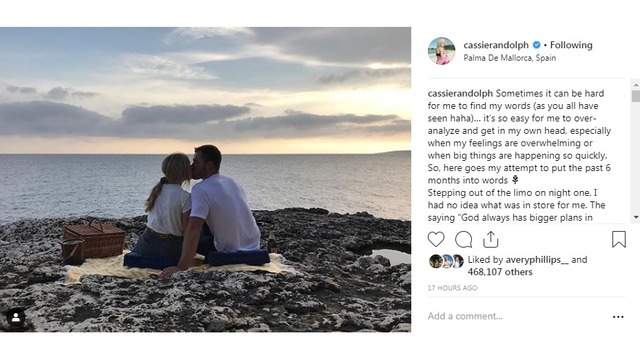 Now, months after the historical fence jump, Colton and Cassie seem wildly in love. Some are skeptical... some are all in. We at the station... well, we're HERE FOR IT. 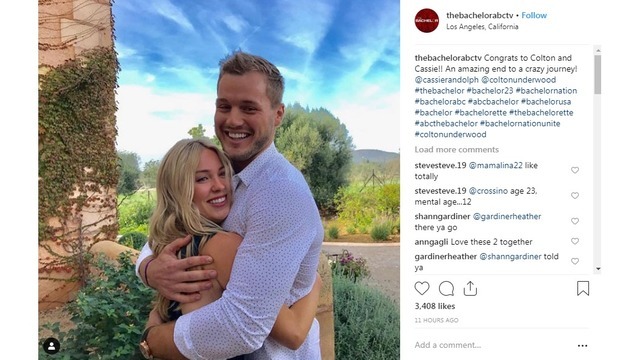 The new lovebirds have been all over soocial media, excited to take their relationship public. "Stepping out of the limo on night one, I had no idea what was in store for me. The saying “God always has bigger plans in mind” has never felt more real to me than it does now." "I can’t even begin to describe how lucky I feel to have you by my side. 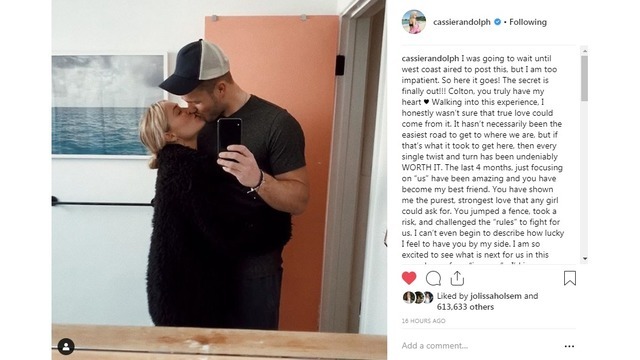 I am so excited to see what is next for us in this new phase of our “journey”... I’d jump a thousand fences for you..."
"I have my best friend. I have my girlfriend. I have my future fiancé. I have my future wife. But most importantly I have you. Let’s do this thing they call life... together... forever." 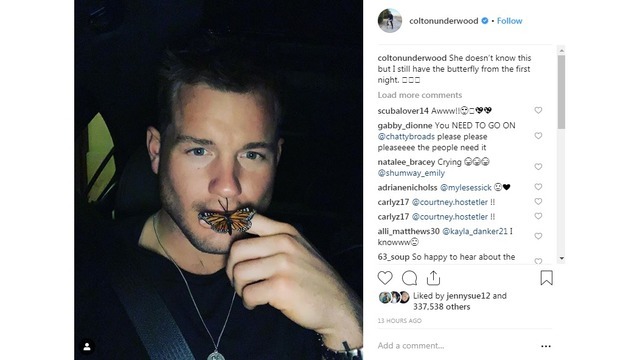 "She doesn't know this, but I still have the butterfly from the first night." 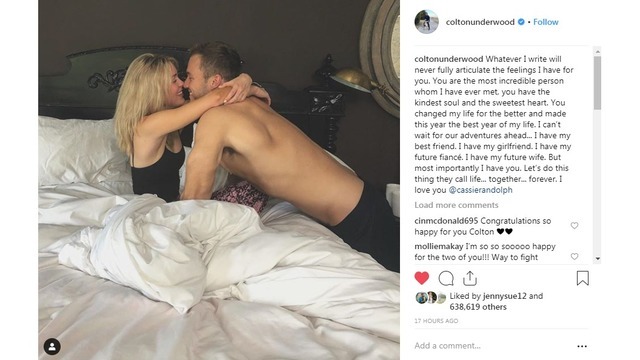 "Congrats to Colton and Cassie!! An amazing end to a crazy journey." 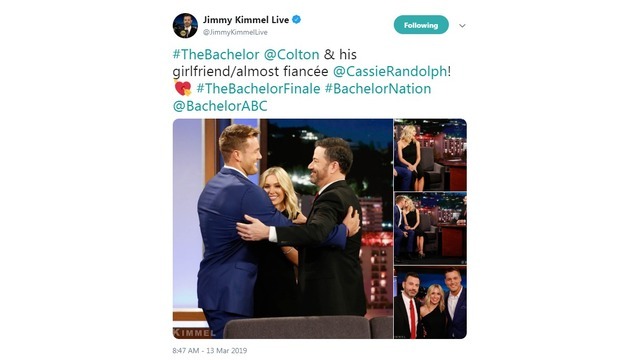 Colton and Cassie were guests on Jimmel Kimmel Live. 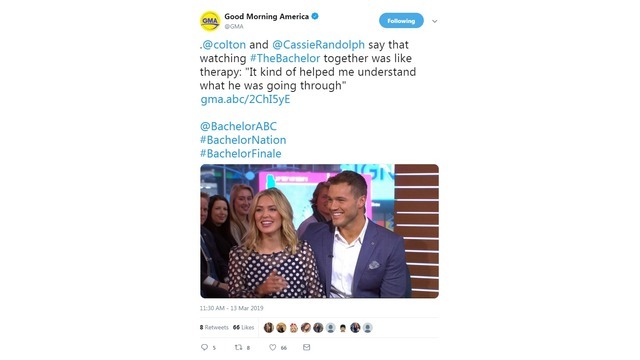 The two also showed their smiling faces on the set of Good Morning America.